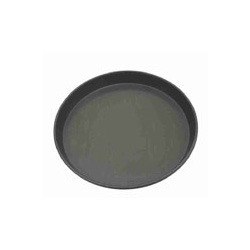 Our range of products include deep dish pizza pan, pizza coupe style pan, pizza dish pans and pizza pie pan. For meeting the versatile requirements of our respected clients, we are engaged in offering a commendable range of Pizza Coupe Style Pan. Offered by us, these pizza coupe style pan is especially designed for to be used in the cooking of pizza's. These are specifically fabricated at our state-of-art infrastructure utilizing finest quality raw material like iron and aluminum, that is procured from the vendors of high repute in the market. 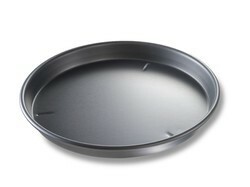 Being a coveted firm, we are indulged in the process of manufacturing & supplying an exclusive range of Pizza Dish Pans. These are useful to use while making pizza. These are ideally designed for the baking of pizza. These pans are manufactured using high quality raw material and cutting-edge technology at our advanced and well-equipped manufacturing unit. These are offered at a competitive price range. 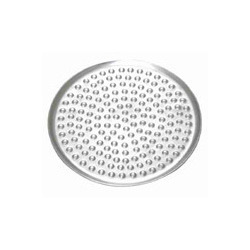 Driven with perfection, we are engaged in manufacturing and supplying a gamut Pizza Pie Pan. The offered range is useful in backing of pizza. These are specially designed for the making pizza. The offered range of pizza pie pan have been designed as per the predefined standards and availed by the customers at most comprehensive and market leading price range.